Metrology wells offer stability to ±0.005C° and axial (vertical) uniformity to ±0.02C° for calibration of a thermometers and temperature sensors. 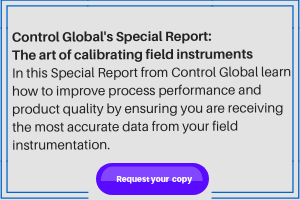 Models 9170, 9171, 9172, and 9173 provide cal lab performance for both laboratory and field environments. With radial (well-to-well) uniformity to ±0.01C°, built-in reference accuracy to ±0.006C°, error from loading to ±0.005C°, hysteresis to ±0.025C°, and immersion depth to 203 mm (8), they can be used in food, petrochemical, pharmaceutical, semiconductor and other manufacturing settings as well as metrology labs. The 917X Series metrology wells feature LCD displays, numeric keypads, and a menu-driven interface that make operation of the instruments simple and fast. Additional features include preprogrammed tasks, such as ramp-and-soak routines, which can be saved in the memory. A dedicated °C/°F button allows for switching of temperature units.